Goodreads: Vermont, 1950. There's a place for the girls whom no one wants--the troublemakers, the illegitimate, the too smart for their own good. It's called Idlewild Hall. And in the small town where it's located, there are rumors that the boarding school is haunted. Four roommates bond over their whispered fears, their budding friendship blossoming--until one of them mysteriously disappears. . . .
Kritters Thoughts: One of my favorite types of books, a thriller book that has two plot lines going, one in the present and one in the past. Our current day plot has Fiona Sheridan and she is a journalist who has returned to her small home town in Vermont and is barely making ends meet and not quite doing the journalism she wishes she were so she goes looking for the type of story she would want to write. 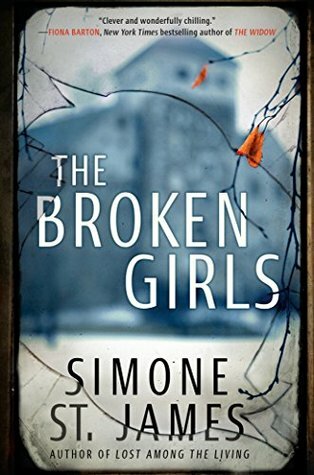 In 1950, in the same small town in Vermont is a girls boarding school that is meant for girls who come from all sorts of trouble. The reader knows from the beginning of a few of the links between the past and the present, but there are more and they are discovered at just the right time! Fiona has her own past with this girls school and she is having to confront it while also finding out about the past behind this creepy school that is now abandoned. I loved that Simone St James made this school almost a character in and of itself. We spend time in the school in 1950 when it is open as a boarding school and we go back in a few times in the present as it is old and abandoned and I could picture it both times and the school itself creeped me out! I think of myself as a pretty hardy reader! I don't get scared too often enough that I need to put the book down, but this one creeped me out so bad! It didn't help that I was home alone, but oh goodness this one is so good it will make you shiver!